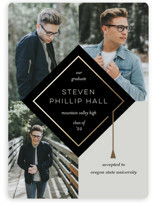 Graduations are a huge milestone. 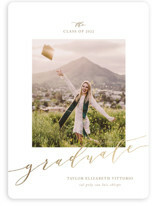 No matter if it's kindergarten or a PhD, your graduate has worked countless hours to reach this moment. 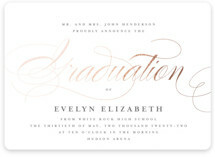 Friends and family will be excited to celebrate your graduate's success. 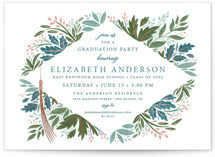 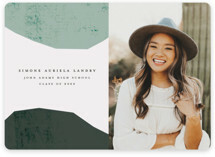 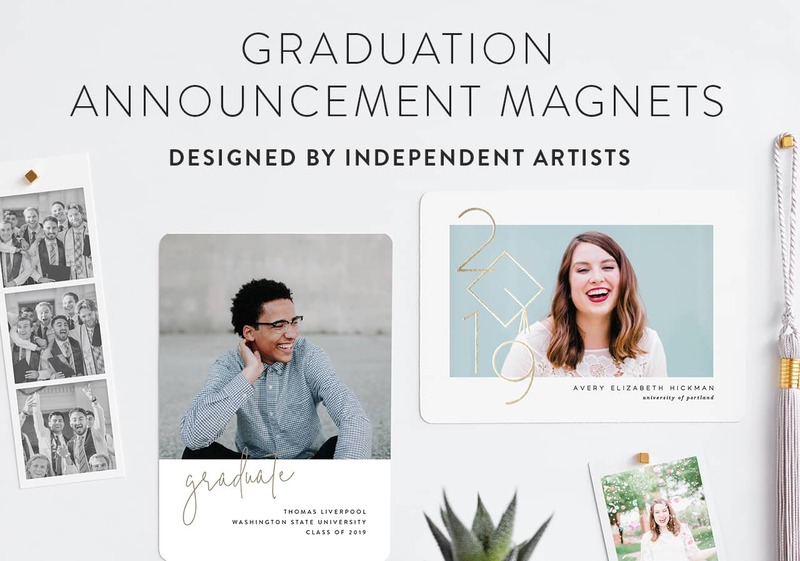 Share the big news with Minted graduation announcement magnets. 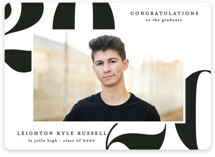 Graduation announcement magnets add a fun twist to the excitement of announcing this milestone and are the perfect keepsake to send to friends and family. 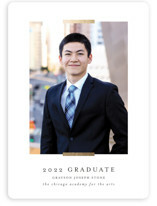 Not only will loved ones be up to date on recent events, they will have a beautiful magnet to display for years to come. 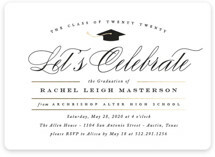 If intended guests will need time to arrange travel, make your graduation magnet a save the date! 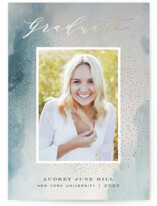 Graduation save the date magnets are the perfect way to share your plans. 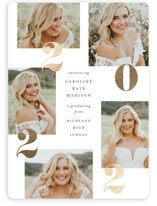 Your guests will likely put the magnet on their fridge, so every time they grab a snack they will remember your graduation. 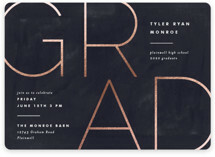 Once you have chosen the best design to fit your grad, customize every detail and make it your own. 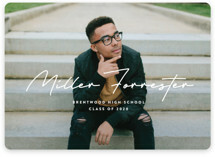 From custom colors to greetings, we are here to help make your graduation announcement flawless. 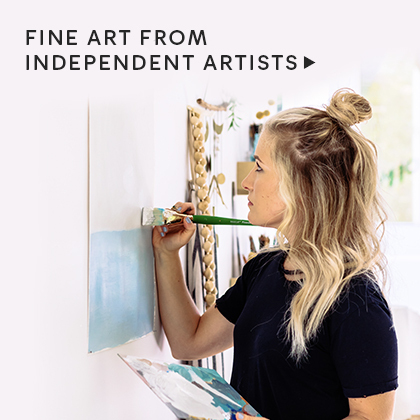 Need something completely custom? 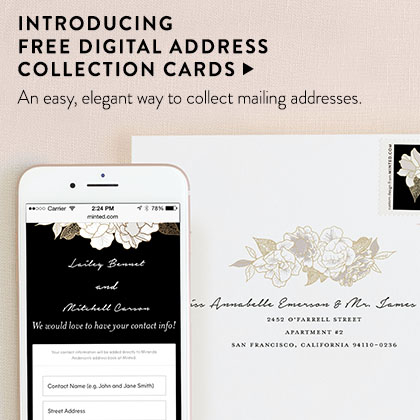 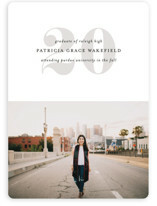 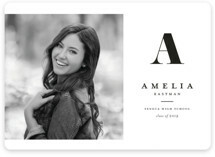 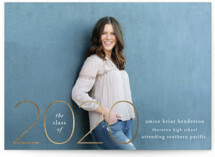 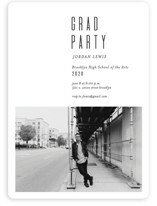 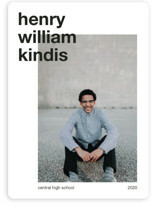 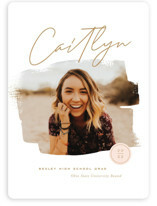 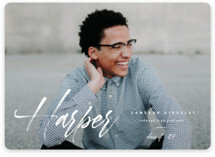 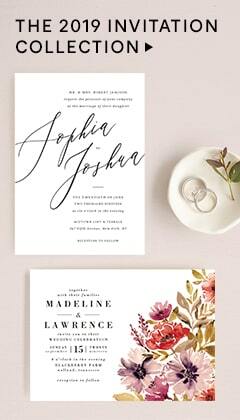 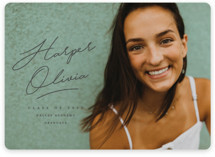 Submit a request to our design team and we will be happy to help make your grad announcements everything you imagined.